Employees at a fitness center began reporting a high frequency of severe infections over a period of two weeks. The managers of the facility started investigating these infections and discovered that several members of the fitness center had also contracted severe infections. After the hospitalization of two employees and one member it was determined what they all had in common. They were all members or employees of the same fitness center and they all had MRSA or methicillin resistant Staphylococcus aureus. The outbreak of MRSA resulted in the closure of the facility for several days as employees meticulously cleaned, sanitized, and disinfected the entire facility. MRSA, or methicillin-resistant Staphylococcus aureus, is a type of “staph” that is particularly resistant to antibiotics. “Staph” infections commonly thrive on human skin without harm, but can enter the body through wounds or hair pores. MRSA can be contracted through direct skin-to-skin contact or by touching objects like gym mats, fitness equipment or towels. MRSA is extremely easy to contract with an estimated 4 million outpatient visits each year. Invasive or serious MRSA infections occur in 94,000 people a year and result in almost 19,000 deaths. In fact, more people die from exposure to MRSA in the United States than from HIV/AIDS. The bacteria typically presents itself as a skin infection, but has been known to cause more serious infections including pneumonia, osteomyelitis, and sepsis. 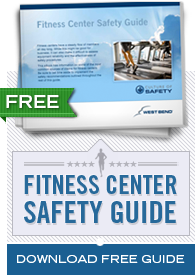 MRSA can infect anyone, anywhere, and any time, but individuals at fitness centers are at an increased risk. Less restrictive workout gear results in more skin-to-skin contact, more skin-to-equipment contact and more cuts and abrasions. Locker rooms and saunas are another area of heightened risk due to the use of towels and lack of protective clothing. MRSA infections pose serious health hazards and costs. 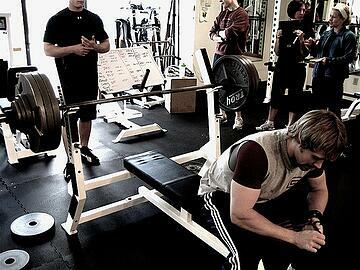 If a gym member becomes infected with MRSA the only way to treat and eliminate the infection is with medical treatment. Typical treatment includes several visits to drain and clean the infection along with a course of antibiotics. The Center for Disease Control (CDC) has recognized the dangers of MRSA infections associated with fitness centers and athletic activities and has made several recommendations to reduce the potential of infection. Provide sanitation supplies – Disinfecting sprays and wipes should be readily available throughout the facility and their use should be required. Make sure the disinfectants being used are capable of killing MRSA. Provide disposable towels for cleaning equipment as opposed to washable ones. Reusable towels can come into contact with contaminated equipment and quickly spread to other areas of the fitness center. Members can however, use personal towels to place on equipment as they workout. Wipe down equipment – Cardio machines, free weights, mats and all other gym equipment should be wiped with disinfectant before and after every use. Employees should actively remind members to wipe equipment. Staff should use the slower parts of the day to thoroughly clean all equipment. Hand sanitizer – Hand sanitizer dispensers should be installed throughout the facility and their use encouraged. Hands come into contact with potentially contaminated areas more frequently than any other part of the body and people often use them to wipe or touch their faces. Laundry – Washing used towels and robes properly in hot water and hot dryers will ensure that they are thoroughly cleaned and safe to redistribute to members and employees. Education – Make sure all employees are aware of the dangers of not only MRSA, but all kinds of communicable diseases that can be prevented by proper sanitation. Create awareness so that all employees will be careful to maintain the cleanest facility possible for their benefit and the benefit of the members. Cleaning – Make sure to thoroughly clean the entire facility after closure daily. This will ensure that equipment that may have missed cleanings due to frequent use still gets cleaned. It is also recommended to clean the entire facility once more throughout the day during a non-busy period like immediately after the lunch traffic. Signage – Make sure that all cleaning supplies and stations are well-marked, clearly visible, and accessible. Appropriate signs should educate both staff and members where supplies are and why their use is important. Make sure the facility’s policy on sanitation is visible and clear so that all members are aware of what is expected of them. Also, create signs that show what the dangers are of not sanitizing properly and demonstrate the potential severity of MRSA and other diseases.